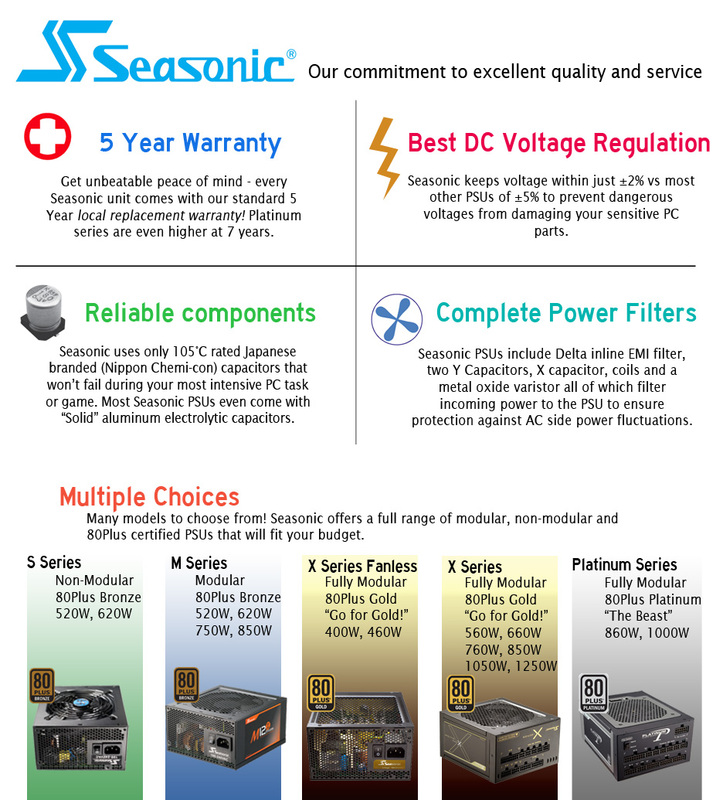 Seasonic Power Supplies is arguably the best Power Supply money can buy today. High precision engineering with robust 5 year warranty equals peace of mind for your components. Best there is! Hans S.
Low noise, great power, competitive price! What more can you ask for? Lito G.